I’m constantly on the look out for new snacks. One of my personal favorites is potato chips. And tortilla chips. And corn chips. Actually, pretty much anything salty and crunchy in the snack aisle. It’s an addiction I try hard to control, which is why I turn my head and sprint past the snack aisle when I’m grocery shopping. On trips when I do get sucked into aisle 12, my purchases are usually only a “daddy and me” snack. Because she’s only two-and-a-half, I’m not quite ready to introduce our daughter to the joys of chips. Until now. That changed when I discovered a new vegetable-based snack product – Green Giant Veggie Snack Chips. Green Giant Roasted Veggie Tortilla Chips – The Zesty Cheddar Flavored chips are made with real vegetables and include 17 grams of whole grain per serving. They’re also perfect for fans of a certain “Nacho Cheesier” tortilla chip, but they taste very similar! Green Giant Multigrain Sweet Potato Chips – Made with real sweet potatoes, these Sea Salt Flavor chips feature 14 grams of whole grain and 40% less fat than regular potato chips. Of the two flavors, these were definitely my favorite! So yeah, finally a great-tasting chip I can feel good about eating and sharing with our two-year-old. Although I still plan to steer her clear of most chips until she’s well into her grade school years (more for me! ), it’s hard to feel bad about giving her chips made with real vegetables. Finally, if you’d like to try Green Giant’s Veggie Snack Chips for yourself (you’ll find them in the snack aisle of your local grocery store), feel free to print this coupon for 85 cents off a bag! Thank you to The Green Giant™ for being a sponsor. Show the Giant your surprise talent at www.facebook.com/greengiant. 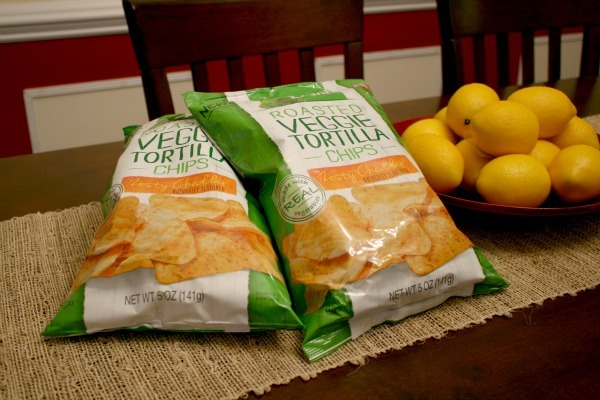 I so want to try these veggie chips! I can’t find them in any of the stores around here yet though. I am anxious to try these. They look and sound great. I can’t wait until they get into a local market. I havent seen these yet but i would love to try them! I’ll try these as soon as I find them! They sound delicious! I love these chips! I got to try them a few weeks ago and fell in love! But none of my stores carry them yet. i’m going through withdrawals! I can’t wait until we get them here! I learned about these the other day, I gotta try them!! They look delicious! Those look so yummy! I will check them out at the store later! I love healthy chips and it totally tricks the little ones into eating healthy. You have to try pop chips, they are so yummy too!!! I absolutely love these. They are soooooo flavorful! These look so good… We love healthy snacks.. I gotta try these, another brand does sweet potato chips and I love them! Especially dipped in home made salsa! I LOVE Sweet Potato chips! I’m gonna have to hunt these down. I am definitely going to buy these!! I love natural and/or veggie chips, and I looooove nacho chips, this is a win/win!! Those look so good! I think I’m going to have to try them! 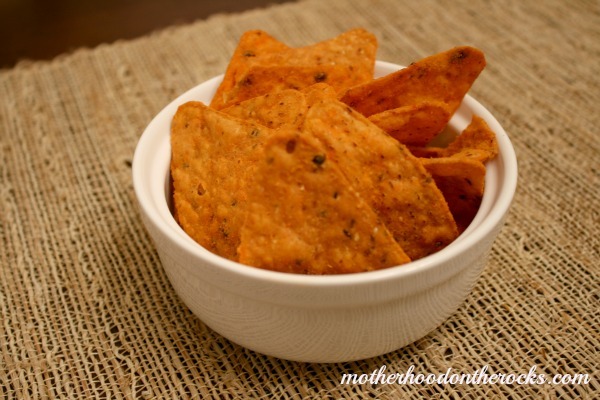 Mmmmm, these look delicious, I always love sneaking veggies into my kids and they love chips! Thanks for sharing! I am curious how these taste. I am not a fan of their frozen veggies and a bit nervous to try these. Haven’t seen these in the store.. now I will be watching for them. these look so good. I am always looking for healthy snacks. I just picked up a bag of the sweet potato chips the other day. I had never seen them before and just wanted to try them. They were yummy! I love these chips. Thanks for sharing this fab review of the products. These look DELICIOUS! Thank you so much for sharing!